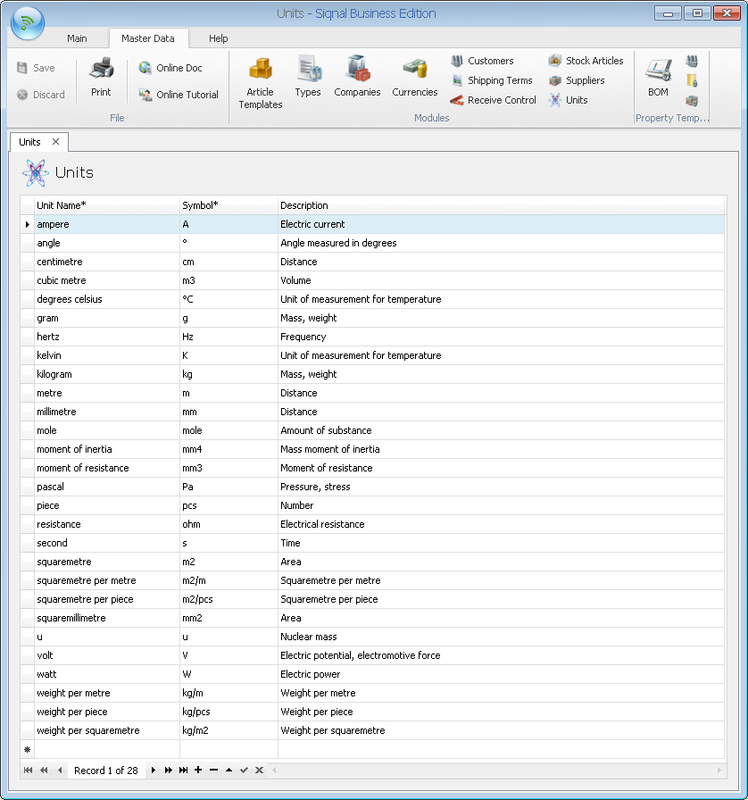 Units is part of the master data used for article types and article properties. When article types or properties are created in the Types module, units must be selected from a drop-down list based on the data from the Unit module. The unit of an article is often shown as part of article properties. Unit Name*: The mandatory name of the unit. Symbol*: The mandatory symbol of the unit that is shown in other modules. Description: Optional description of the unit.